I blogged about it when I first used it which was new from the box (here). 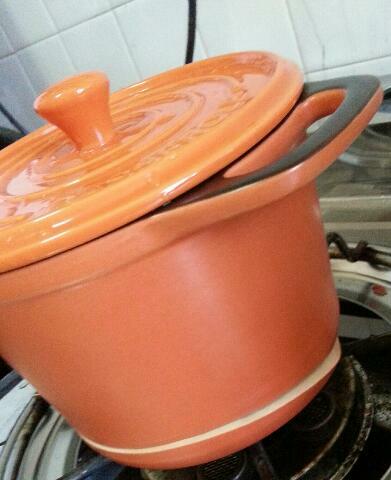 I planned to boil a pot of herbal soup last weekend using this little cute pot. It was just after the water is boiled in the pot, I heard and saw water flowing out from my stove and wet the floor, then I realized the bottom of the pot has cracked beyond repair. 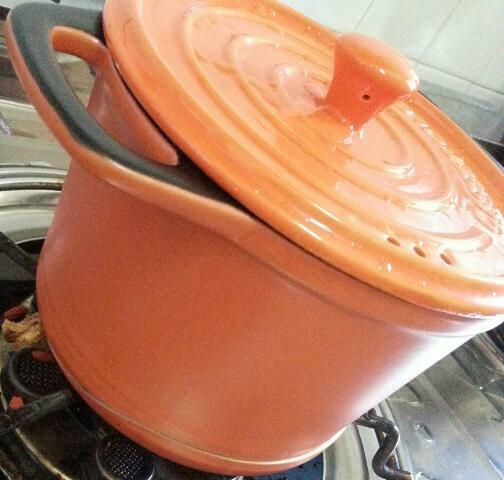 I couldn't carry the pot away from the stove as it was still burning hot. 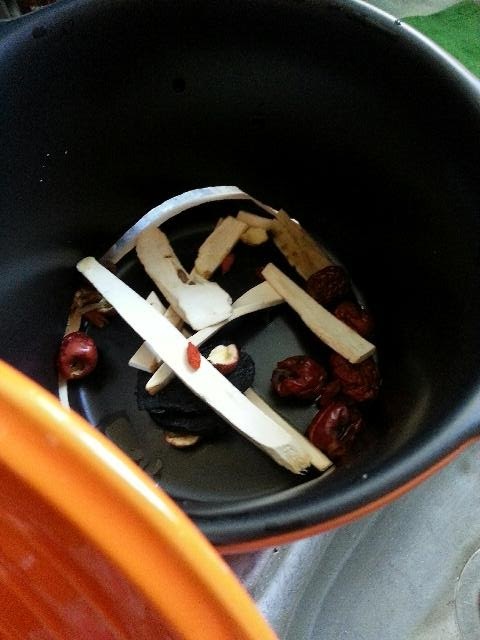 The pot of soup thus drained dry leaving the herbs. I took the box & read again. 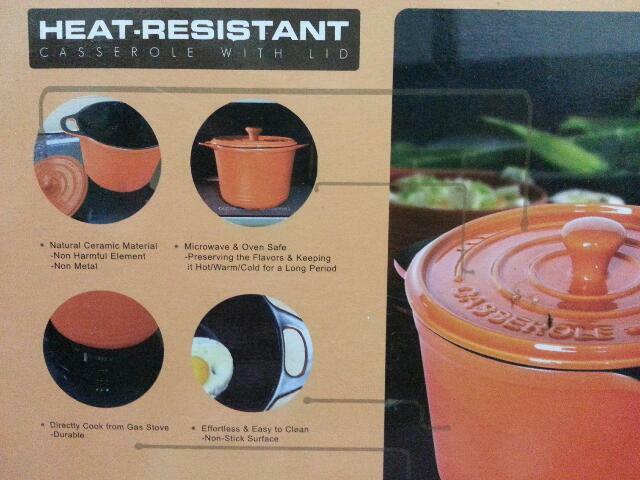 It clearly said can be directly cook from gas stove & durable. I was very disappointed with it, off the pin it went. The pot does looks cute. 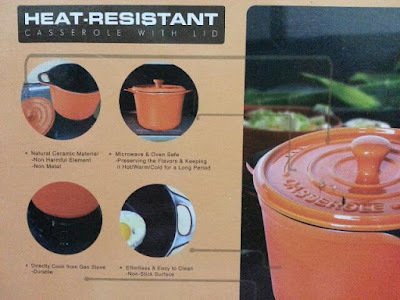 What a disappointment that it was not as heat resistant as claimed to be.